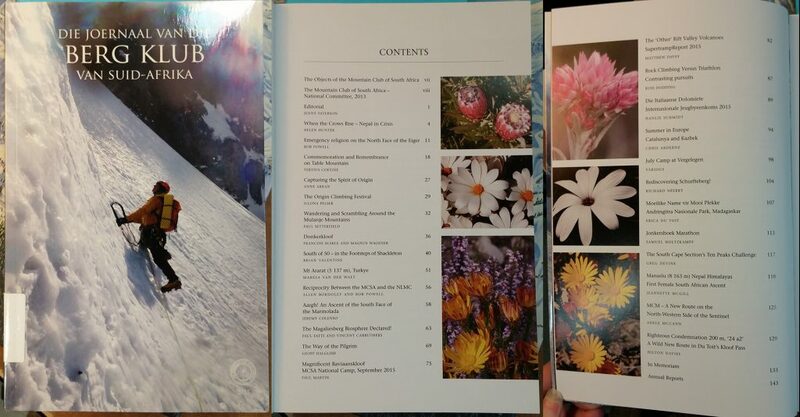 Title: Journal of the Mountain Club of South Africa = Die Joernaal van dei Bergklub van Suid-Afrika. Format: v. : ill. ; 23 cm..
Contributor(s): Mountain Club of South Africa. Notes: Description based on: 1979; title from cover. ; 1891-1968, in 1 v. Includes index to journal under its earlier title; 1969-1978 in 1 v.; 1979-2000, in 1 v.